COMMENTS: Love how beautiful our bath bombs came out with this!! COMMENTS: Very little of this gives you the cutest little shade of pink. Add more and you have a beautiful red! very easy to work with! COMMENTS: Love this red 40, it stays true in color for my bath bombs. I love lake dyes because they don’t require blooming like dyes do! I will always buy my red 40 from WSP because the weight/price is amazing, much more affordable than the other wholesale soaping stores. COMMENTS: This color is the perfect shade of red. A little goes a long way. Mixes with fragrance well. I will continue to purchase. COMMENTS: The brightest of reds! I used in in body wash and it looks like fresh liquid blood...which is what I was going for. I loved it! COMMENTS: This is a wonderful, bright cherry red color. A little goes a long way. I used it for a bath bomb, in combination with some red oxide powder, and it produced a deep, dark red that was perfect. COMMENTS: This too is a great bright color for bath bombs. This color makes it fun to use and fun for kids. COMMENTS: This color is beautiful and makes excellent bath art! COMMENTS: This is a true, deep red in most of my recipes. I really like this colorant. COMMENTS: I use this powder color for my fizzy bombs and let me tell you a little goes a long way. They look amazing so beautiful. 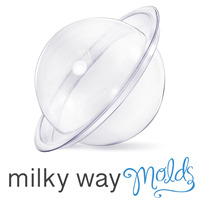 COMMENTS: I got this for bath bombs, and it's gorgeous! It's a vivid, true red, and I didn't have to use as much as I expected to make the bombs pure red. It didn't fade or get spotty when the bombs dried out, either! COMMENTS: My personal favourite lip balm colouring. A little goes a long way! A very pretty, true red. COMMENTS: this is ideal for your color set. 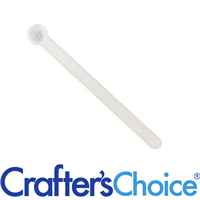 great for reds, pinks or blending colors. COMMENTS: This is truly “a little goes a long way”! I am getting my money’s worth out of the bath bomb colors! Very concentrated, works great! COMMENTS: I have looked everywhere for the perfect true red mica color for my bath bombs and this is it! 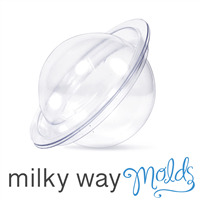 I am so happy with this product! COMMENTS: I have tried a lot of other red colors before and none of them were true red. This red from WSP is a TRUE RED. I will only order from here. A little goes a long way and all of my products turn out nice. 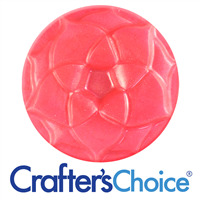 COMMENTS: I made watermelon soap & I used with to achieve my red coloring & I love it! COMMENTS: Love this Bathbomb colorant. It blends easily and produces a really beautiful shade of red. COMMENTS: Great, rich color. Incorporates well. First time I used it I used waaaay too much, but even that just rinsed right off. Does not stain hands and nails, which is a HUGE plus for me. Doesn't need any poly80 at all. A great product for bath bombs- glad I bought all 4 colors! "Works well in CP soaps as well." COMMENTS: This is the closest to true red I've used in my CP soaps. I made Strawberry Raspberry Cream cupcake soaps using this color. They were made with the following ingredients: Sodium hydroxide, Coconut Milk(nondairy), Shea butter, olive oil, coconut oil, cocoa butter, avocado oil, Strawberry/Raspberry Cream fragrance oils, glitter, and Crafters Choice Bath Bomb Red Powder color. The only issue I had with this color was that I tried washing off soda ash from the tops of my cupcake soaps, and the red bled onto the lighter colors on the soap and stained a bit. • True deep red color. • Bleeds onto lighter colors when wet. COMMENTS: I LOVED the red bath bomb colorant. Took every little to color a batch and the when bath bomb is used it colors water beautifully! Its not a deep red. Will definitely purchase again! COMMENTS: Great for Bath Bombs, Shower Fizzies or Soap. It makes great embeds for my bath bombs and colors the water fabulously. Mixes well with the blue and yellow to make other colors. "Love these in my Bath bombs"
COMMENTS: The water looks so pretty after using this color! "A very good red, but add pink to brighten it"
COMMENTS: Works wonderfully in our bath bombs. 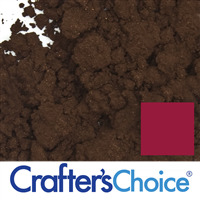 Blends in well with the powdery mix and creates a full-bodied red color that tends toward a brick-like shade. If we want a more vivid red, we add some neon or hot pink mica, which seems to brighten the color and make it look like a more true red. "not quite the color i thought it would be"
COMMENTS: Used to get my first true red bath bomb. Perfect after trying many times I got the perfect red using this dye. Will buy again for sure! "More of a brick red." COMMENTS: Not the red I was hoping for, but still nice. COMMENTS: Takes a lot to get a nice red in bath fizzies. However, love the product. On the second jar already. Mixes well with other lake dyes. COMMENTS: This product is great! Easy to use, vibrant color and a little goes a long way! COMMENTS: makes the water sooo red!! COMMENTS: Great bath bomb color. No stain, residue, or ring around the tub. Beautiful color on its own in a bomb as well as mixed with other colors. I also tried it with black iron oxide to deepen it with a touch of violet liquid stained glass color for a maroon-ish color. Used a little for pink and a lot for apple red bath water color and both left the tub white. I tried this in the sample pack of bath bomb powder colors and there was a generous amount! COMMENTS: I used this powder in my bath bombs to turn the water red. Works great. Use a little to turn the water light red or use more to turn the water a darker red. A little goes a long way. I will definitely order this again. COMMENTS: Works well in Bath Bombs and Fizzies! COMMENTS: This color is so vibrant and can be adjusted. I'm a repeat buyer for this color! "Bath Bomb Red Powder Color"
COMMENTS: Love these colors in my bath bombs! COMMENTS: This is the best true red I've found but it still ends up being more of a wine red in CP than fire engine red. Also works well in sugar scrub - but you don't want to use very much. In small amounts in CP soap it makes a very pretty pastel pink. Be careful while using, I swear it seems to end up everywhere no matter how careful I am. COMMENTS: I use it when I make my bath bombs and bubble bath bars. It is really good. I love the color. COMMENTS: This powder is wonderful! Makes the best red for my bath bombs and candles. I did not need to use much at all to achieve the red color. This worked amazing for airbrushing my bath bombs as well! I blended beautifully in my melt & pour soup as well. COMMENTS: Very versatile! Use a little bit for a pink color, or use more for a deep, vibrant red! I love using these lakes for embeds in my bath bombs. Works amazingly! COMMENTS: This mixes really well with large amounts of white product without getting diluted to pink. It leaves a slight residue in the bath from the testing, but nothing that doesnt come out in a few showers. COMMENTS: This mica was very easy to work with. I mixed it with my wet ingredients and incorporated it into the dry. Only needed one micro scoop to get a lovely pink color. COMMENTS: I always buy this but I do wish it was a brighter, more vibrant red. COMMENTS: Wonderful Red really pops in the product. I hate to spend money on things I am not sure about , But this was a winner. COMMENTS: I can never quite get this red to be a true red when used in my bath bombs, only a nice pink/red. But when I make small bath water color tablets, it turns the water such a pretty cherry red! COMMENTS: color holds up. looks great on the bath bomb and in the tub. COMMENTS: No ring on your or your customers tub! Great colorant! COMMENTS: I LOVE this in my bath bombs!! It turns the water a beautiful pink to red color (depending on how much color you add.) and NO ring around the tub and no polysorbate needed! A must have for bath bombs! I can’t wait to try the other colors. "A true red that survived cold process!" COMMENTS: If you aren't aware yet, true lipstick red is tricky in cold process. This actually stayed true red, though I did only do a ribbon of red through a white bar because it required a high concentration to keep that true color. One downside, it will turn you red if used at this concentration- I make custom loaves designed by my customers, and had to make two loaves to salvage one loaf worth of soap that was appropriately streaked with red but not so much that they would look like a bad sunburn after one shower. COMMENTS: Absolutely love this color. 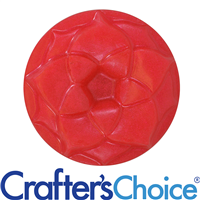 Produces a beautiful red bath bomb without having to use too much. COMMENTS: The Bath Bomb Colors that I've used from WSP only need a tiny bit to color, and they dissolve completely, making your bath water fun colors! Customers love that the bath bombs change the color of their tub water. No color residue left in tub. COMMENTS: This works amazing for coloring my bath bombs! The water colors beautiful as well. A little goes a long way! COMMENTS: No ring around the tub! COMMENTS: Great Mica for bath bombs!
" Bath Bomb Red Powder Color"
COMMENTS: One of the best reds I've tried for my bath bombs... I just had a sample of it but it was the right amount I needed for my order... doesn't stain the tub or skin and I'm sure the heavier it is the affect/effect it gives for say a blood bomb. COMMENTS: I use this powder in my bath bombs. It makes both a beautiful pink or red. Use a little for pink and a little more for red. It doesn't stain the bath tub so that's a huge plus! COMMENTS: Flawless, bright red color. Perfect in my bath bombs. COMMENTS: This red is vibrant and perfect for making any shade of pink or red. 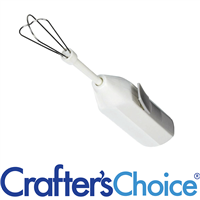 Perfect for making handmade gifts! COMMENTS: The color is incredible and very pigmented! COMMENTS: I like this, used it in a bath bomb. It didn't turn out the red I was thinking it would. It was more a dark pink color than red. Maybe I should have used more. But I only got a sample size, so didn't want to use it all. I do have a larger size in my cart as I wrote this. ?? "Bath Bomb Red Powder "
COMMENTS: Good product. The color was really nice once it dissolved in my tub. COMMENTS: This give a really good color to your water with no staining or sticking to the tub. 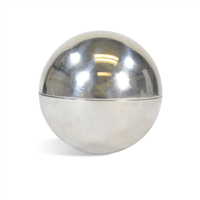 We use this everyday in our shop. 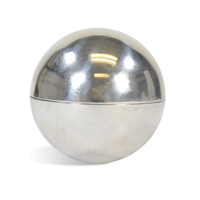 We mainly use this to active pink in our bath bombs. COMMENTS: Beautifully colors salts and bath fizzies. I love the red color and I don't have use alot of the color to the best result. COMMENTS: Uniform color every time! COMMENTS: This red is so amazing! I love how it's the perfect primary red for making secondary and tertiary colors. COMMENTS: I love this colorant for making bath bombs! Works great, blends in nicely and doesn't stain. Easy to measure. 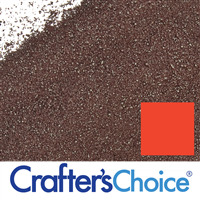 "Beautiful color for red bath salts"
COMMENTS: Makes a beautiful red color for your bath salts. Make sure to put something down over your counter top or it will stain. Use a mask as it is toxic until blended into your other ingredients. COMMENTS: Was super easy to mix into my bath bomb recipe and color came out almost a true red color. Love it and can't wait to try other colors. COMMENTS: Perfect for bathbombs, made some red, pink and mixed a litte with yellow for a lovely peach with this! COMMENTS: Love this dye, it is easy to use. I can blend the colors to get unique shades also. "More pink than red "
COMMENTS: Not as vibrant as the other bath bomb colors. I'll order it again to make pink. COMMENTS: Not as red as the picture shows. its a weird brick red. "A beautiful red for bath bombs!" COMMENTS: I purchased this red powder for Christmas bath bombs and they came out beautifully! A little goes a long way and the colorant doesn't leave a stain in the tub. I will purchase more when I'm almost out. COMMENTS: My go to for basic lake colors. COMMENTS: I love how bright these colors are in bath bombs! Powdered color makes it easier, no need to add less liquids! No sulfur smell!! COMMENTS: Does not stain your skin or tub! Perfect! COMMENTS: I love how bold and vibrant these colors are! This red is so vivid and true. I mixed it with the yellow to create orange, coral, and peach colors. Very nice. Best of all, even with such a strong color, it does not appear to stain at all. COMMENTS: Excellent quality. Very vibrant a little goes a long way. COMMENTS: This is a beautiful red and so easy to use. Don't need a lot. I will definitely use this and also will try the other bath bomb colors as a result of trying this one. "very good bright color "
"Lovely shade of pink to red"
COMMENTS: Love this color. I got loverly soft pink for my bath bombs. Great product and value. Will be back for more.
" 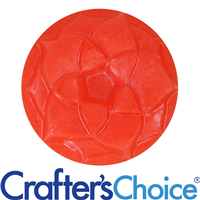 Crafters Choice™ Bath Bomb Red Powder Color"
COMMENTS: Vibrant color. A little goes a long way! "love wsp bath bomb colors"
COMMENTS: I really like these bath bomb colors, I now have all that you offer and wish you had a bigger variety. they are much easier to incorporate into bath fizzies than some of the liquid colors offered by a competitor. I also have found that they don't stain your tub even when I use a lot. COMMENTS: Love this red, super vibrant, no staining and very easy to work with. definitely repurchasing. 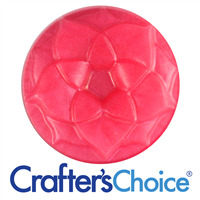 COMMENTS: I love all of the crafter's choice bath bomb colorants. Great colors!!!!! Easy to mix and make other colors. This red is VIBRANT!! COMMENTS: Gave my bath fizzies and mani bombs a lovely pink colour when I added a little bit along with kaolin clay. Left no staining behind! COMMENTS: Made some bath fizzes with this red color. Turned out great, will be buying some more. COMMENTS: Makes an adorable pink if used lightly, and doesn't take much to achieve a true red. COMMENTS: does not leave a ring around the tub. and a little goes a long way. ordering more! COMMENTS: You dont need to use a whole lot of this to color your bath water with fizzies, believe me, a little goes a long way. COMMENTS: I used this color mica to make my Peppermint striped bath bombs. With the red, a little goes a long way! The red was so bright and pretty with just a little bit. 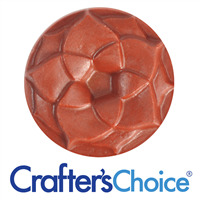 "Crafters Choice™ Bath Bomb Red Powder Color"
COMMENTS: Love this lake! Very versatile. Start with less than you think you need and build up. COMMENTS: This is a staple in my red colorants as it's your standard red 40. COMMENTS: This was okay but to color bath bombs to a good solid red a sample pack just isn't enough. I prefer to color my bath bombs with liquid colors. It is extremely difficult to get a solid red colored bath bomb without using excessive colorants. These would be great if you are trying to make pastel colored bath bombs. "Crafters choice red powder color bath bomb"
COMMENTS: This was the perfect red for my bloody bath bombs! 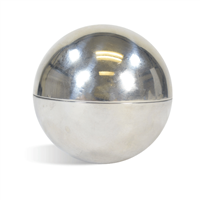 "I use this one in bath bombs and soaps"
COMMENTS: This is great in bath bombs and hot process soaps. The color does not fade away with heat and colors the bath water. COMMENTS: I used this to color my peppermint bath bombs. The color was more of a pink than a red, I will try again using a little larger measurement than the recipe calls for, but I would imagine that it would take quite a lot to get a red color in a fizzie. Other than the color issue, it blends evenly without any clumps of color. I will definitely buy again! "Nice and easy to blend"
COMMENTS: True red color. Mix nicely and easily with my bath salts and bath fizzies. Will buy again. COMMENTS: I have finally found a great red for bath bombs. It is perfect alone or to mix with other colors for customizing colors. Very pleased! COMMENTS: Use a little - you get a lovely pink. Use a lot - you get RED. Love it. COMMENTS: My daughter loves the bath bomb colors. She prefers them way over the regular micas and soap colorants. 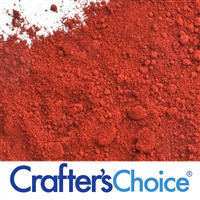 "Red Bath Bomb Powder Colorant "
COMMENTS: Love the brightness & color intensity! Please keep these Bath Bomb colorants in stock. Thanks WSP!! COMMENTS: Bright red, not a true red Works well. COMMENTS: Doesn't take much to get a lot of color with the lakes! This is a nice red, but does not appear to be the correct red # to mix with blue to get purple. COMMENTS: I use the bath bomb powder colors for my bath fizzies and everyone is so impressed at the way they color the water without staining the tub and how easy it is to rinse the tub out after bathing. COMMENTS: This makes a nice true red in my bath bombs and it washes away pretty clean, even in concentrated amounts! COMMENTS: I use this in my bath bombs. The color is strong and will change the water that color. The younger kids love it! "First time making bath bombs"